is made up of high-quality stainless steel light weight. It’s pushing end and finger holding place is ergonomically designed. It is to use for 1.8 ml cartridge by the side loading. 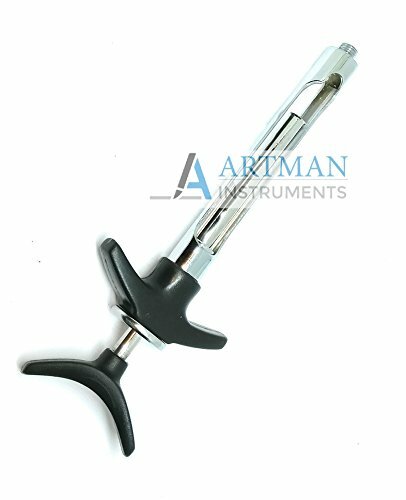 Hub for the needle thread offers best-fit base for the standard size needle. For the 30 gauge needle, one may find it a bit tight. Threading for needle engagement are very well designed.